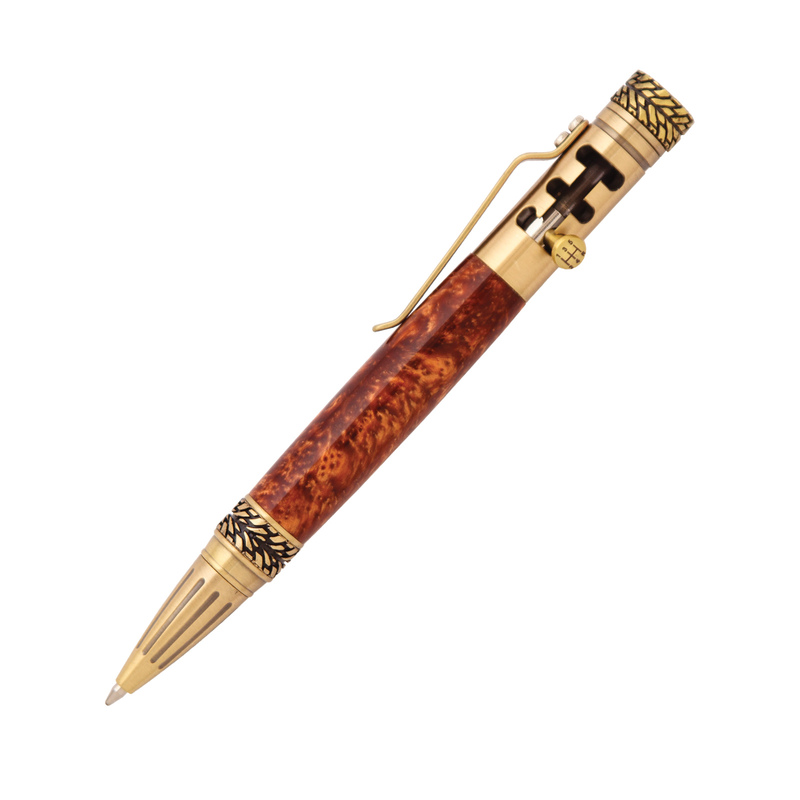 Gearshift Antique Brass Pen [PKGEARAB] - $46.75 : AnkleBiter Woodworks, When all else fails, send in the dacschund! 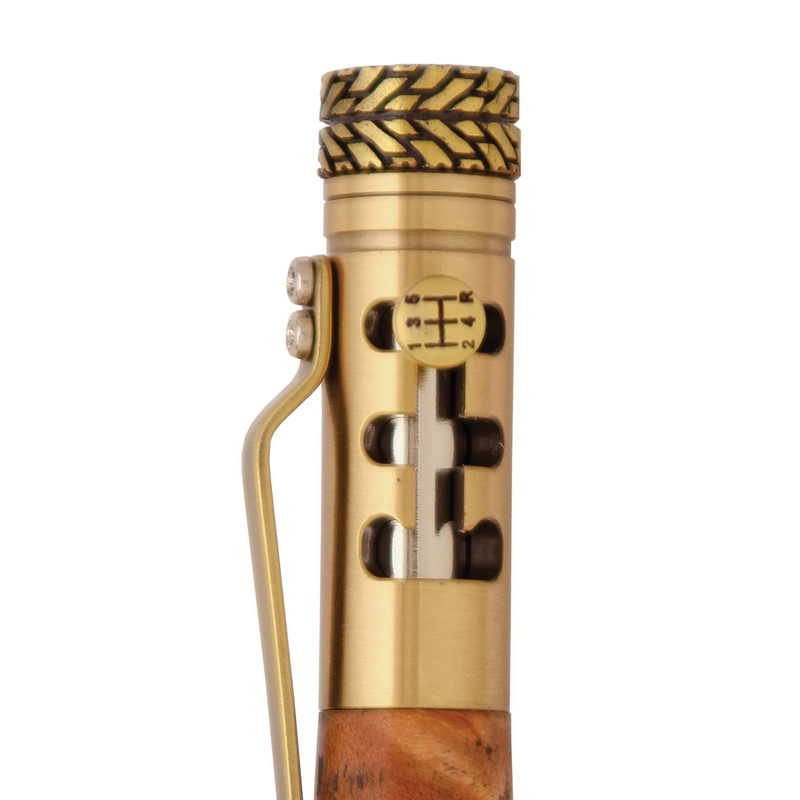 Inspired by our best selling bolt action pen mechanism, this Gearshift Antique Brass pen is an ideal gift for any car enthusiast. The mechanism design is based off a five-speed H pattern shifter and can be shifted just like the real thing! Authenticity abounds; The cap features a car tire with a true to life tread and hubcap. The tip features the same tire tread as the cap. The shifter handle includes an etched five-speed pattern. And the industrialized crowbar clip attached to the body with two small screws rounds out the design. Refill fully advances at the front of the shifter and fully retracts at the back of the shifter. Uses a popular Parker style refill.